Gary McDonnell worked at Triumph's Meriden factory in the R&D department when it finally closed its doors for good in early 1983. He currently works for Triumph in Australia. 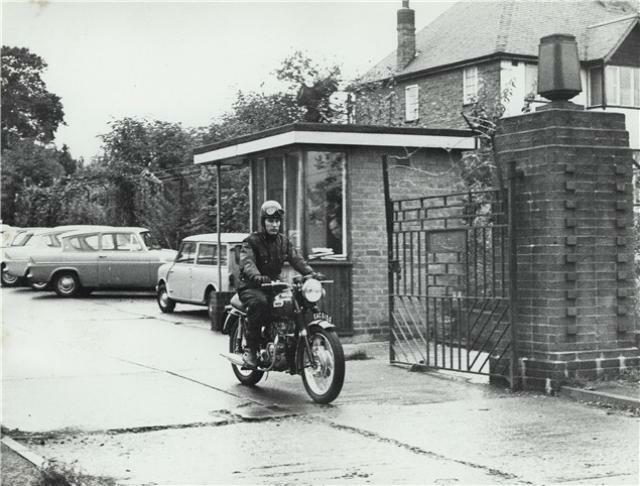 "I started working in the Meriden Triumph factory when I was just 15 years old, so I was 30 when it finally shut its doors. But the writing had been on the walls from late 1982 when they started laying people off. But there was still a great atmosphere in the factory. We heard that we would be moving to an old Dunlop factory in Sandy Lane, Triumphs were still selling - not so much in America but they were still strong in Nigeria and Africa - and the West Midlands Enterprises Group were going to fund a smaller factory. It was the light at the end of the tunnel. Downsize to save costs. But it never materialised. I've since found out that they were actually cleaning and preparing the Sandy Lane site ready for the move. Towards the end money was tight. I worked for nine weeks without getting paid and with a pregnant wife that was hard. I remember one time I followed a container lorry to Liverpool docks just to get the bills of laden, which I then took to the bank so I could get paid. But the feeling inside the factory was still strong. It was great to be part of a workers' co-operative. At the time unemployment was grim, but work was good and working in a bike factory was even better. We used to work for the love of it, everyone did. We worked Saturdays and Sundays just for a free pie, we did the job out of sheer will. We felt in control of our own destiny. The Triumph factory was a great place to work, you came in every day because you didn't want to miss a thing. Click here for page two of http://www.visordown.com/features/time-tunnel---shut-that-door/14816.html.